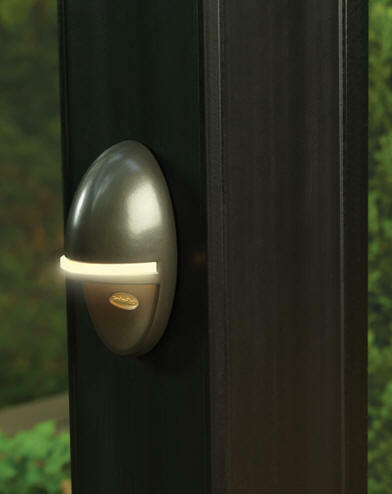 Gives off a soft light for safety on steps or stairs. Available in Architectural Bronze. 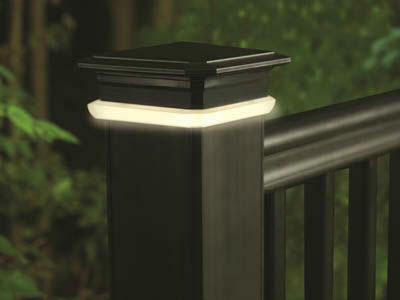 Overall size is 6" w x 3 1/8" H x 1" D and uses 2 Watts. 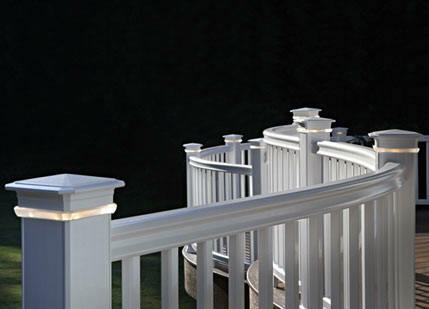 Designed to be installed under the top rail of you railings, these LED lights take only 1 1/2 watts. Overall size is 3 1/2" x 1" x 1/2". 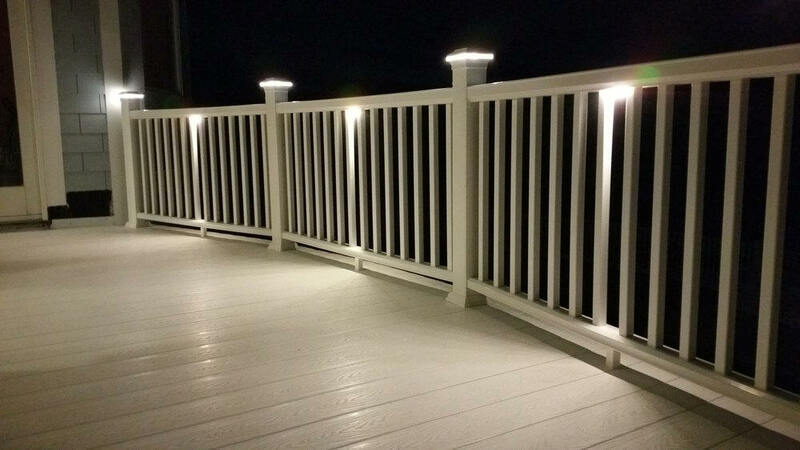 These powerful little LED lights recess into 1" hole in your deck or stair riser. 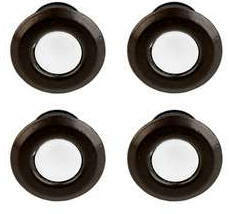 Over all size is 1 5/8" round x 1 1/8" deep. 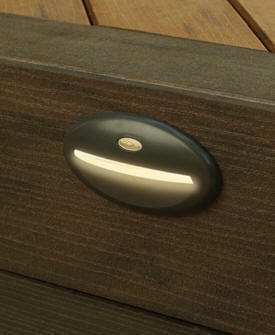 The LED lights do not produce heat and take only .5 watt.